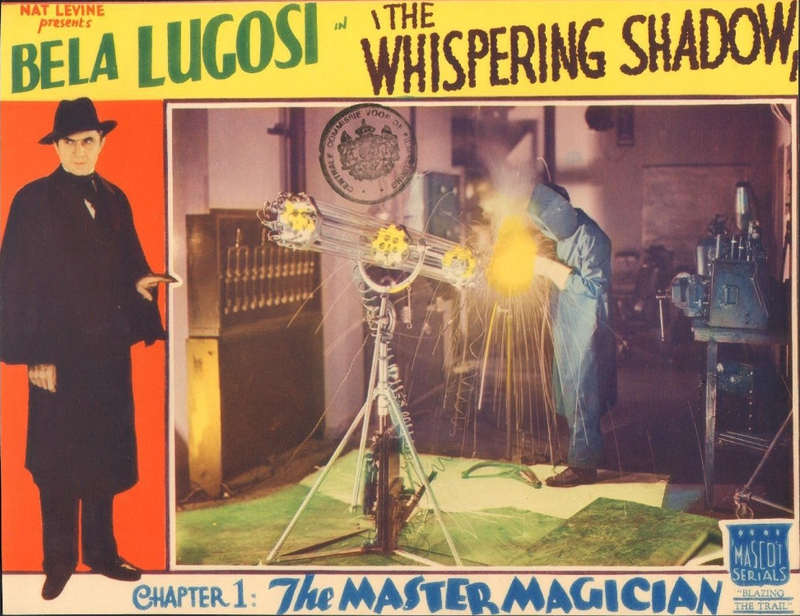 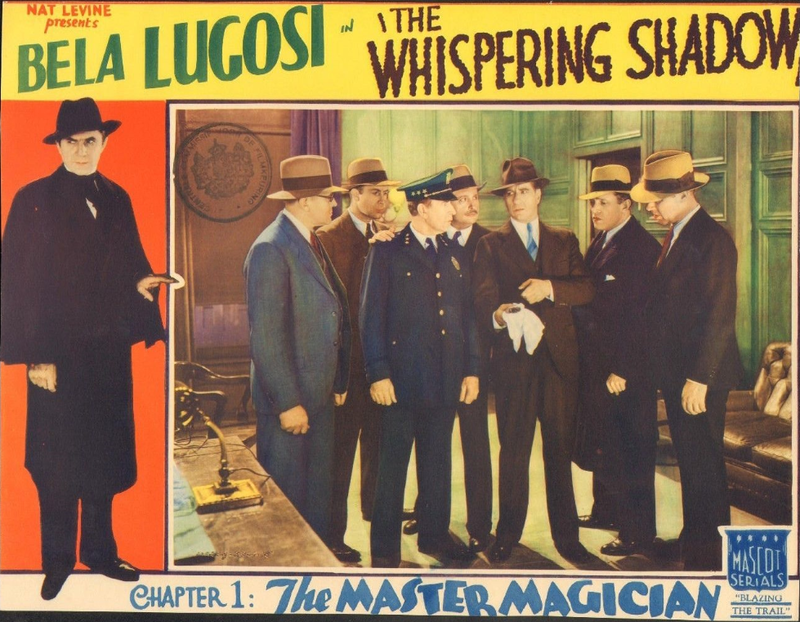 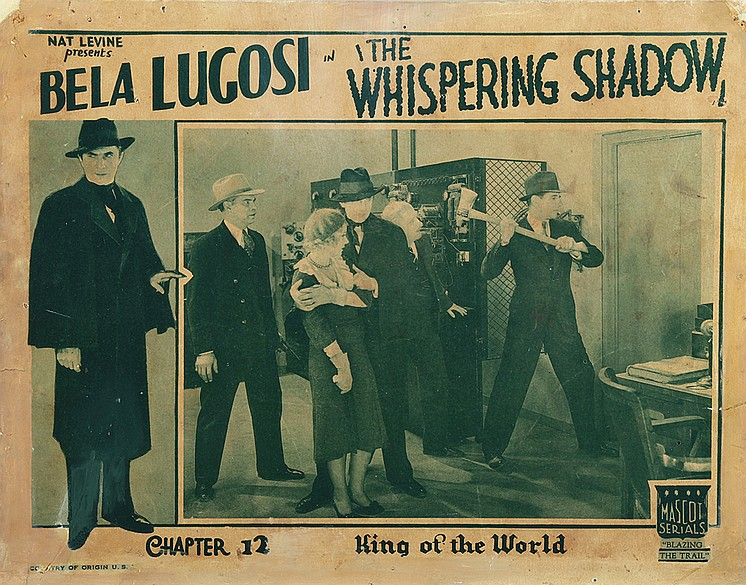 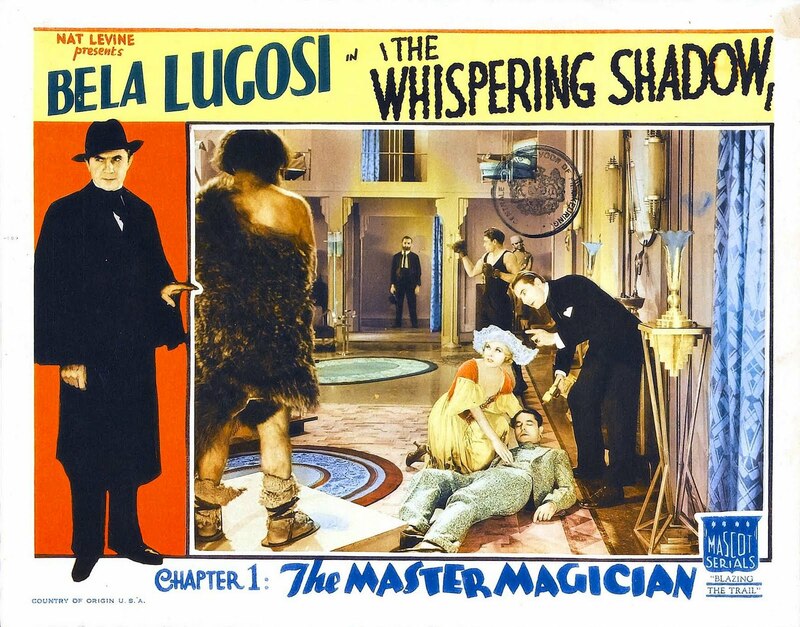 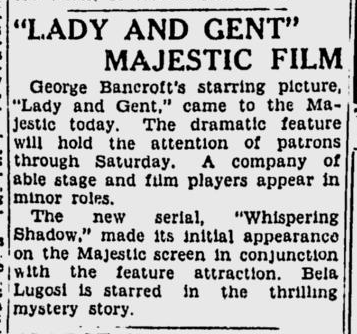 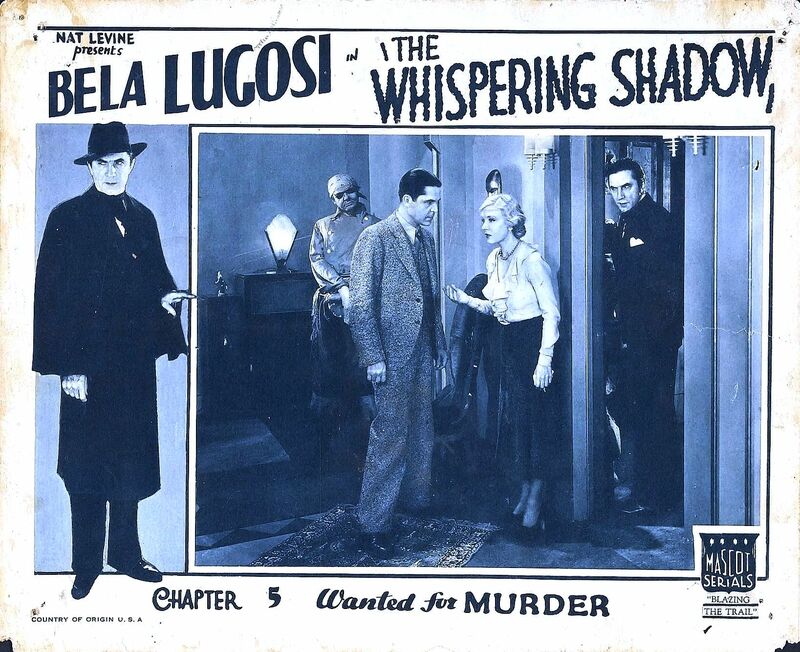 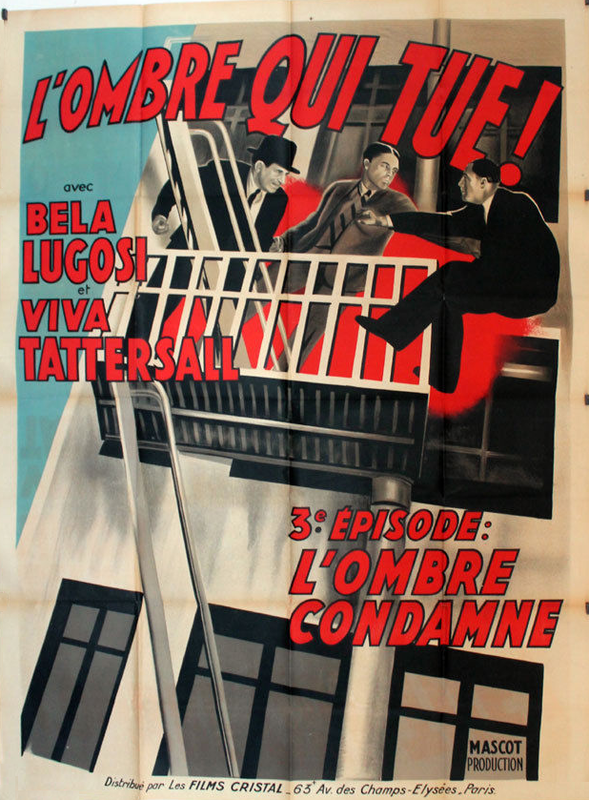 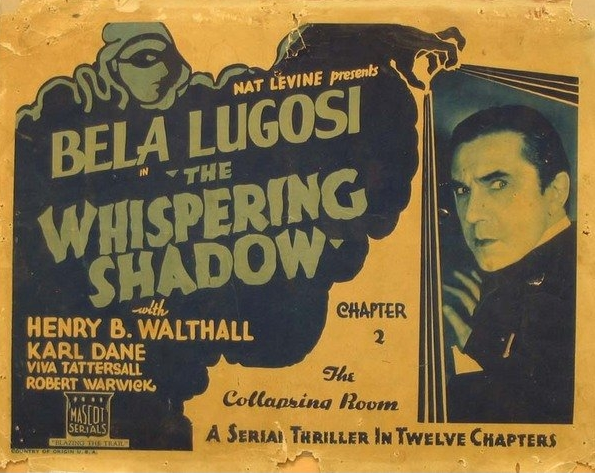 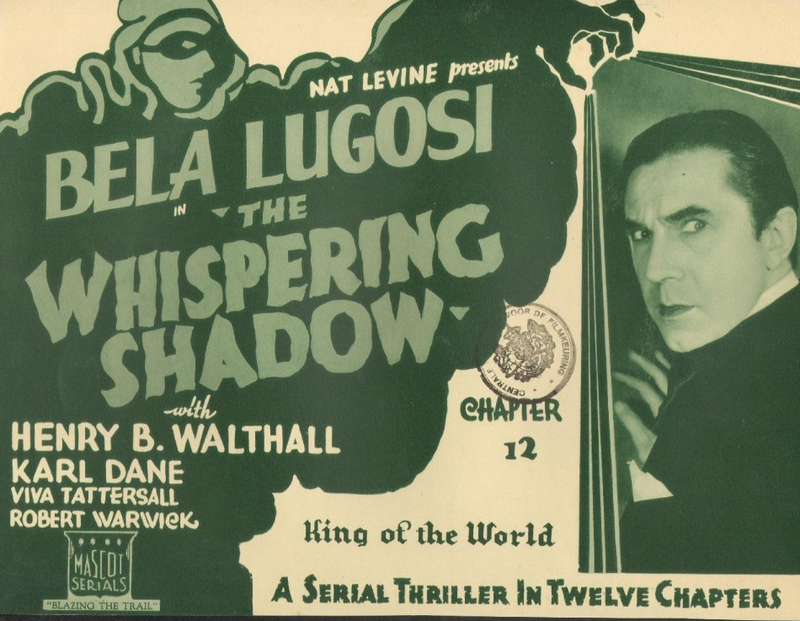 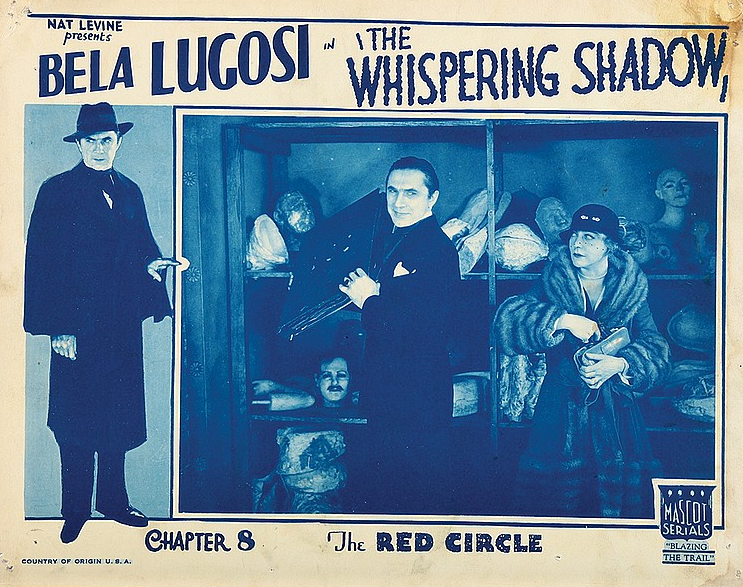 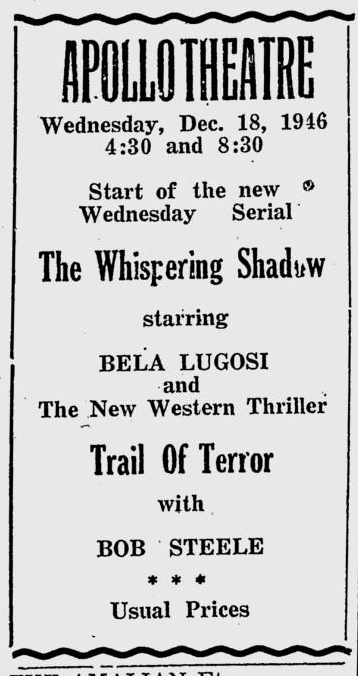 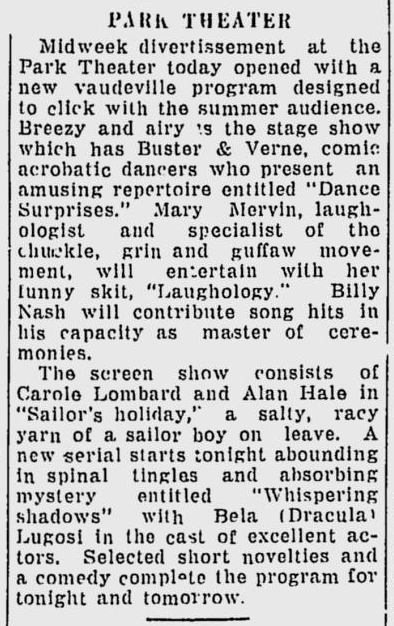 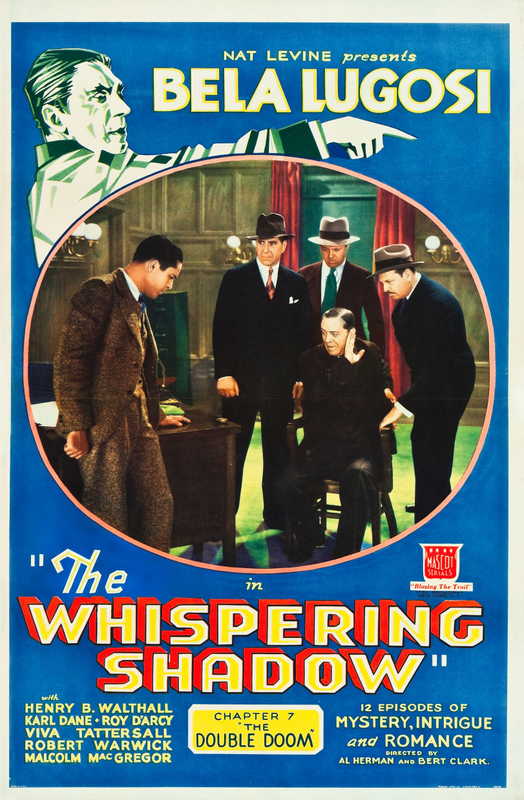 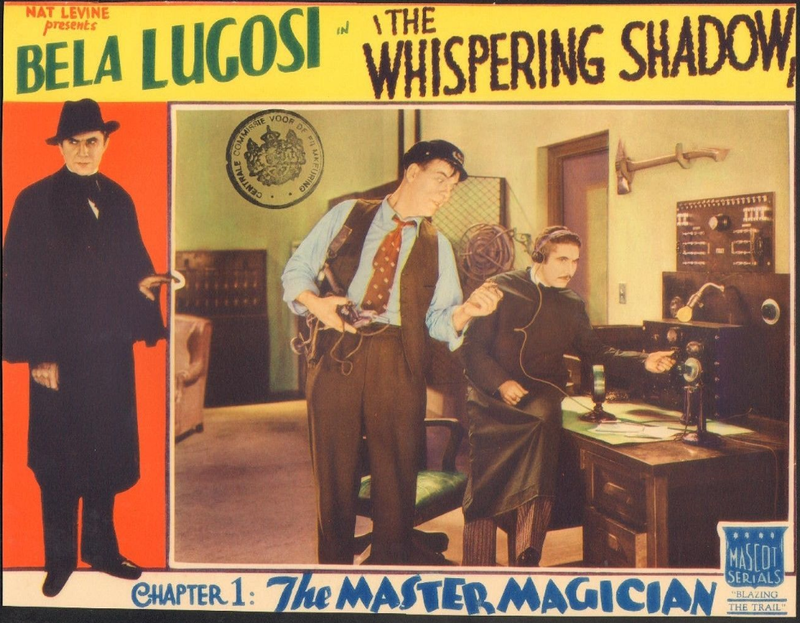 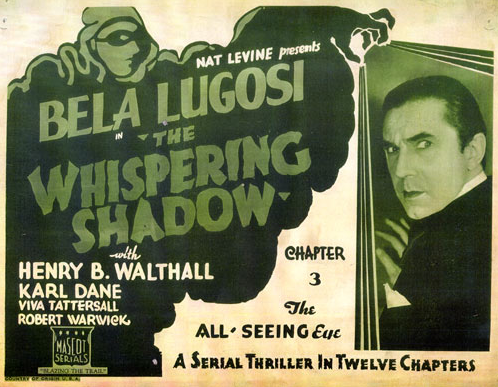 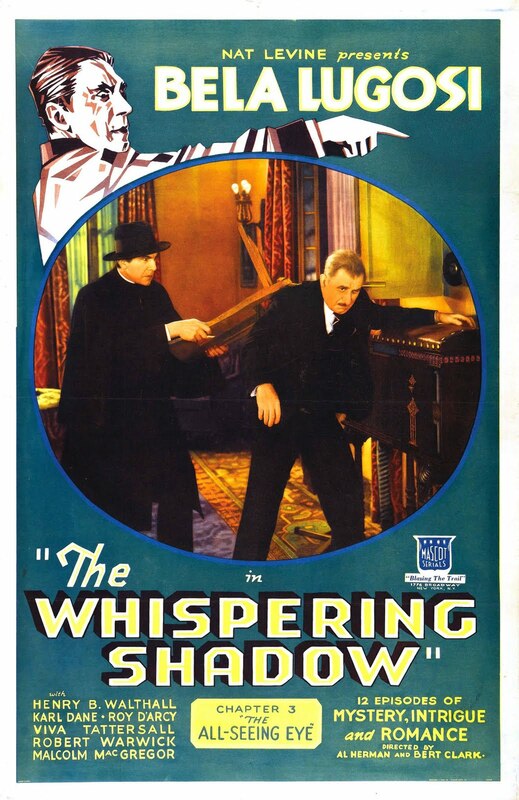 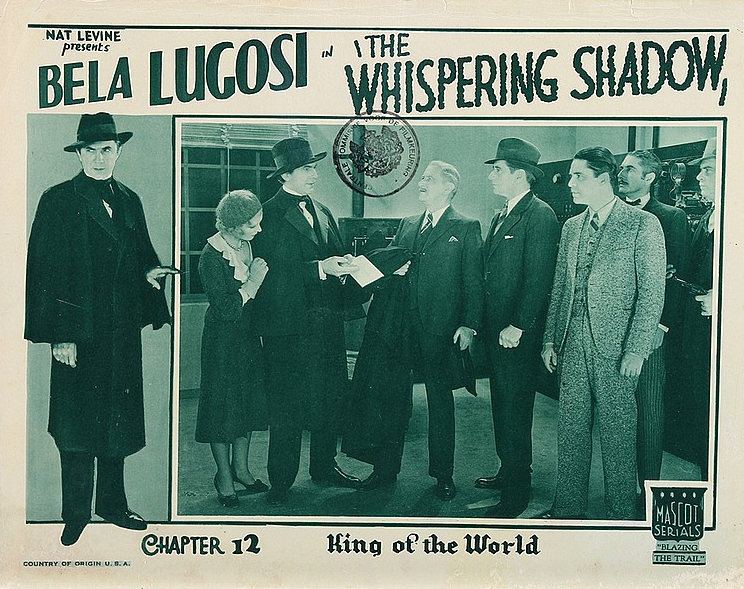 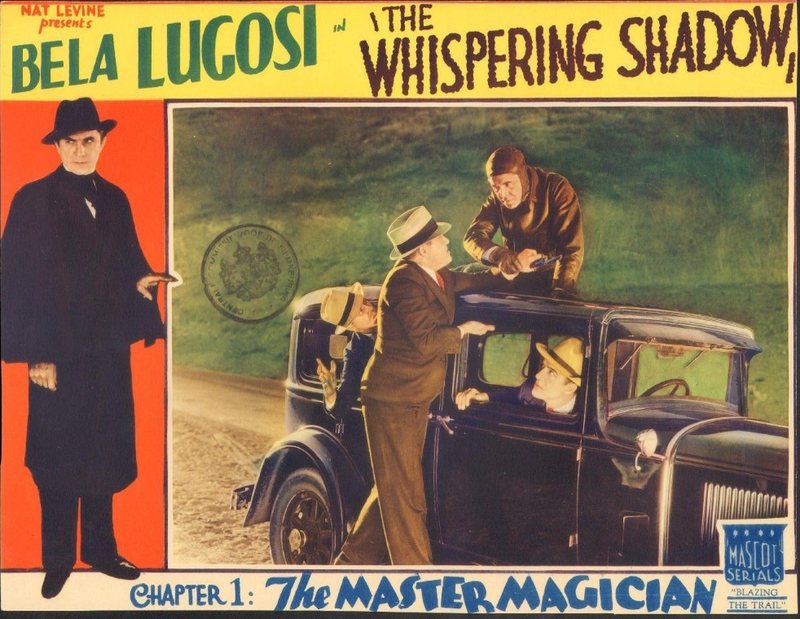 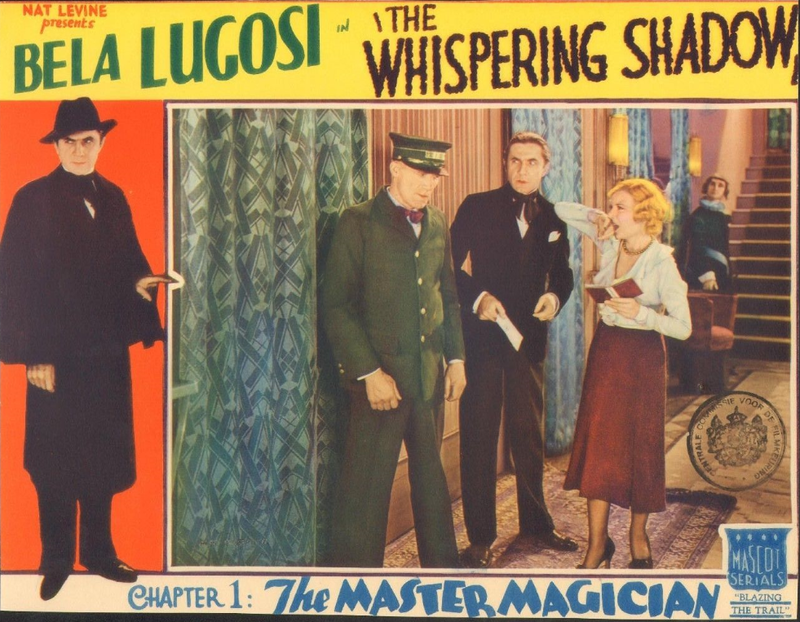 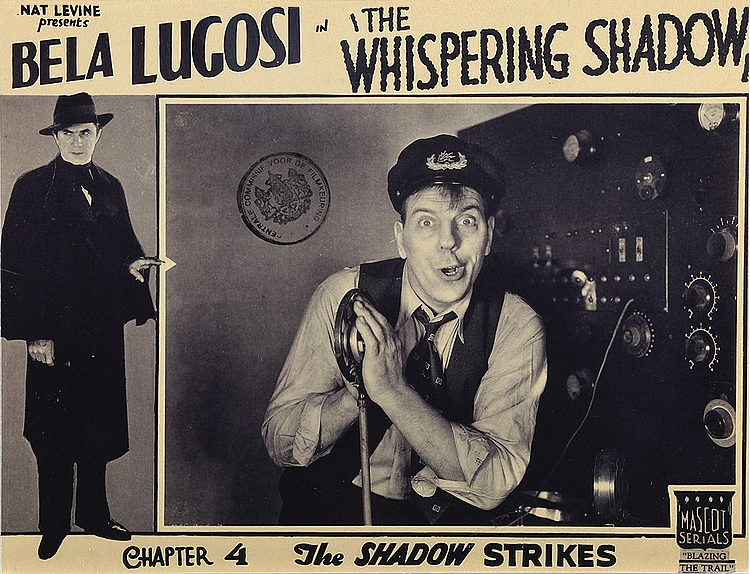 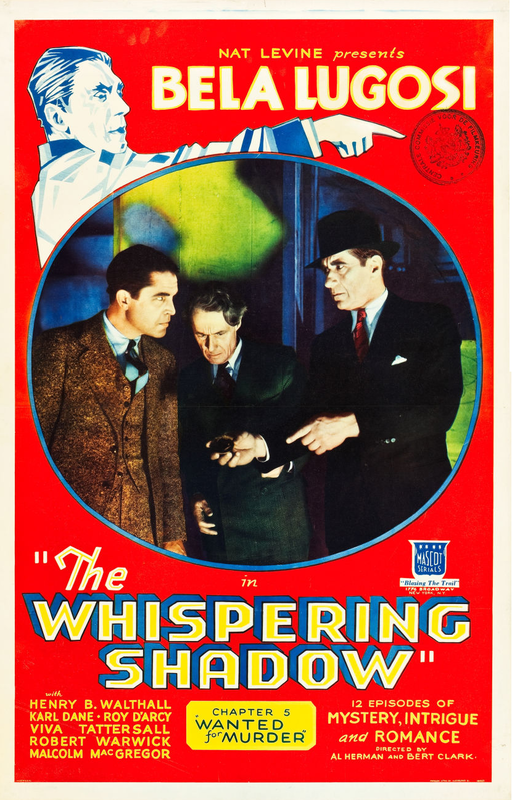 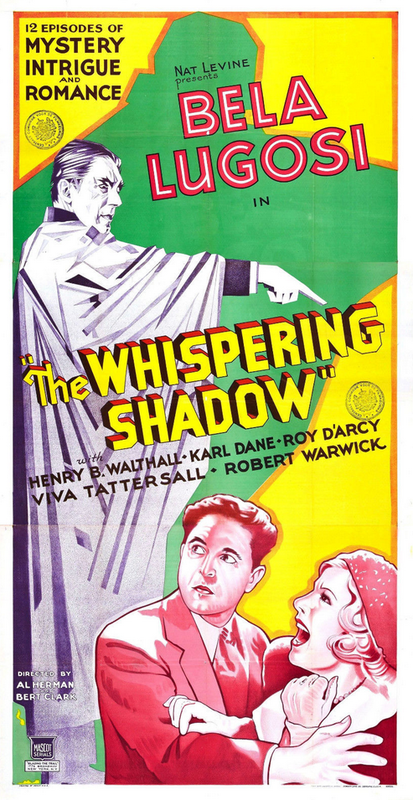 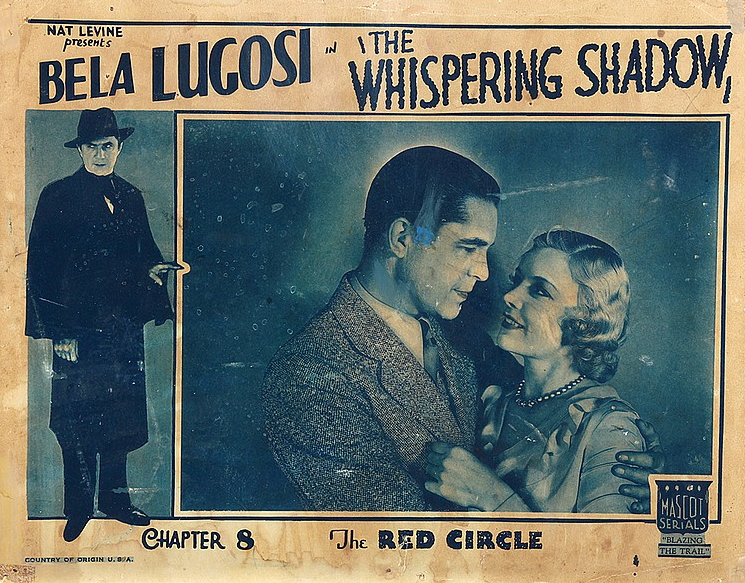 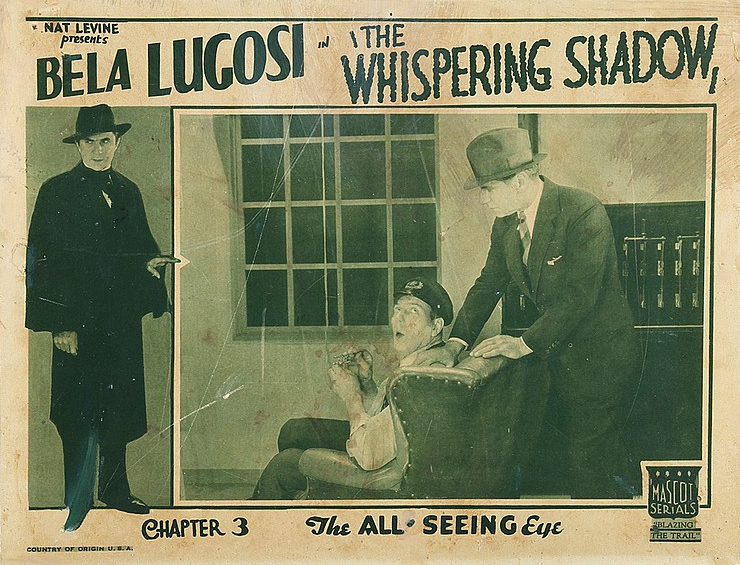 The Whispering Shadow was the first of five serials starring Bela Lugosi. 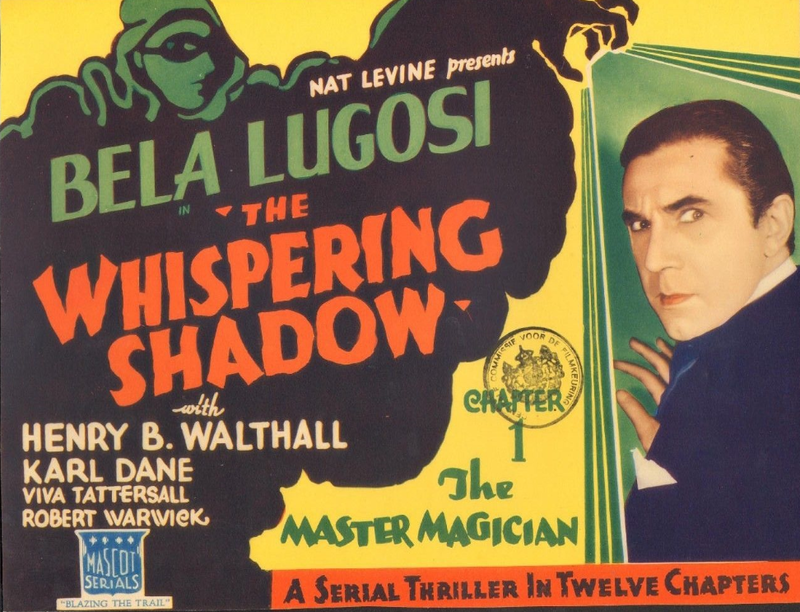 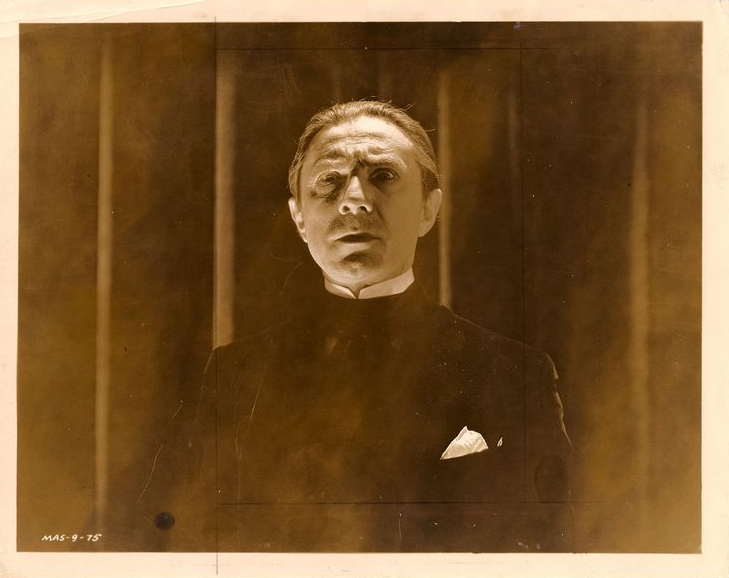 As the owner of a wax museum, Lugosi’s character is suspected of being a mysterious criminal who can project his voice and shadow to any location and remotely inflict death by electrocution. 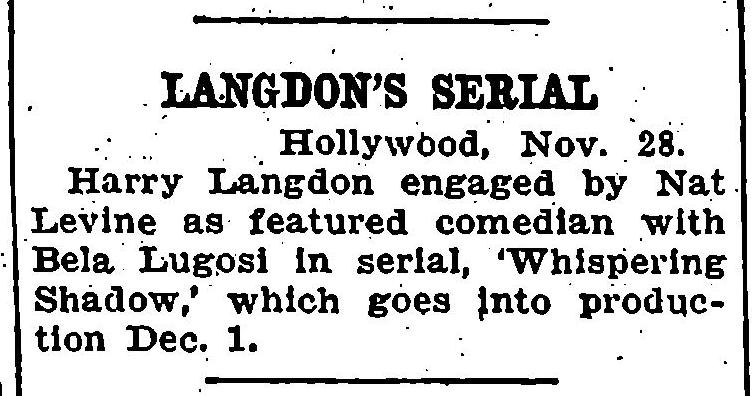 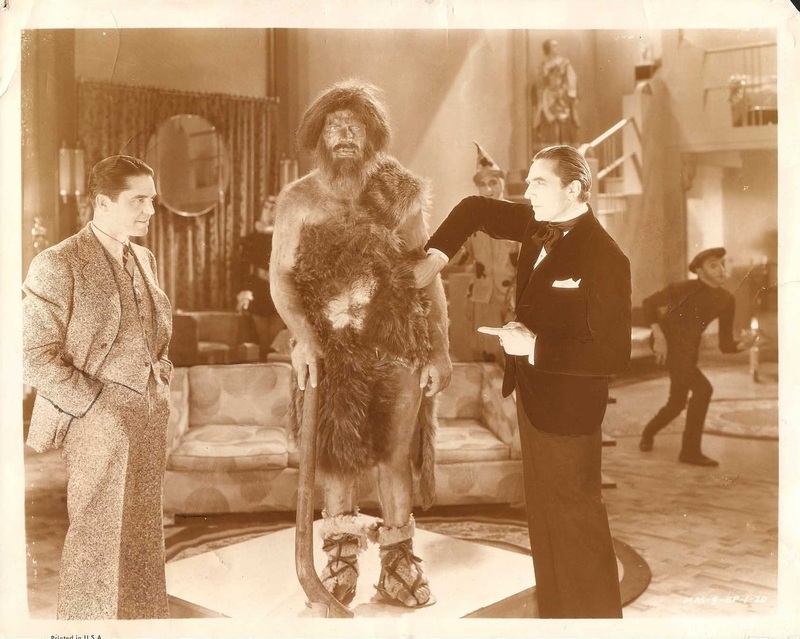 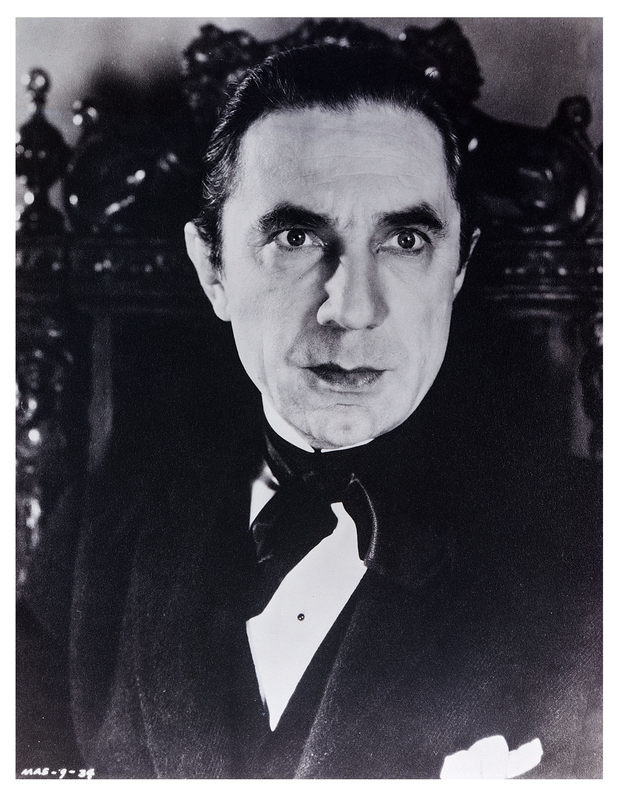 Lugosi was paid $10,000, one of his biggest paychecks, for the relatively small part.